Now that Littleheart's summer wardrobe is more than complete, I have been working on a few pieces for myself. At first I was a little intimidated about sewing for me, but I have found that it is actually really fun, especially when you are on a budget and can't go out shopping whenever you feel like it. You just imagine what you would like to wear and try it out! After looking around for inspiration, I came up with three shirts I could make out of a single pattern! Each shirt starts out with the same one pattern, which gets altered for each design. 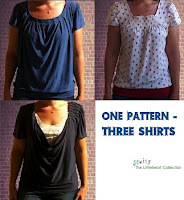 In the next couple of weeks I will show you how to make each one of these shirts. If you are size Medium you are welcome to download my basic pattern here. If not I will show you how to draft your own, it is not hard. Find a T-shirt that fits you well, I would not use a tight fitting T-shirt, better one that fits loosely (but not too loose). Lay it out and trace your bodice. Make two pieces, one with the front neckline and one with the back neckline. The back will stay as is for all three shirts. Now take your front and tape the "fold" side to a new piece of paper (onto the right side of the paper). Draw a line to the left, starting at the bottom of the neckline. The line should be 5.5 inches long. 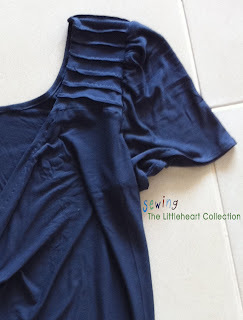 Now connect the end of your line with the bottom corner of your front bodice, making an extra triangle. Cut around the triangle. You now have your basic front bodice piece for the three shirts. 1. Fold the straight side of the sleeve over 1/4 an inch and then again 1/4 an inch. Press in place. Stitch across. 2. Sew the short ends of the sleeves right sides together. 3. Gather your sleeves and pin them to the armholes. Sew the sleeves on. Finish the edges if you like. 3. Gather your sleeves on the rounded part (so not at the beginning and not at the end). 4. Sew the sleeves onto the shirt, they should fit around the top of the shoulder, but they don't go all the way down to the underarm. Make sure the distance between the seam where the sleeve is sewn together and the start of the sleeve is the same on both sides (the first shirt I made had lopsided sleeves!). 5. 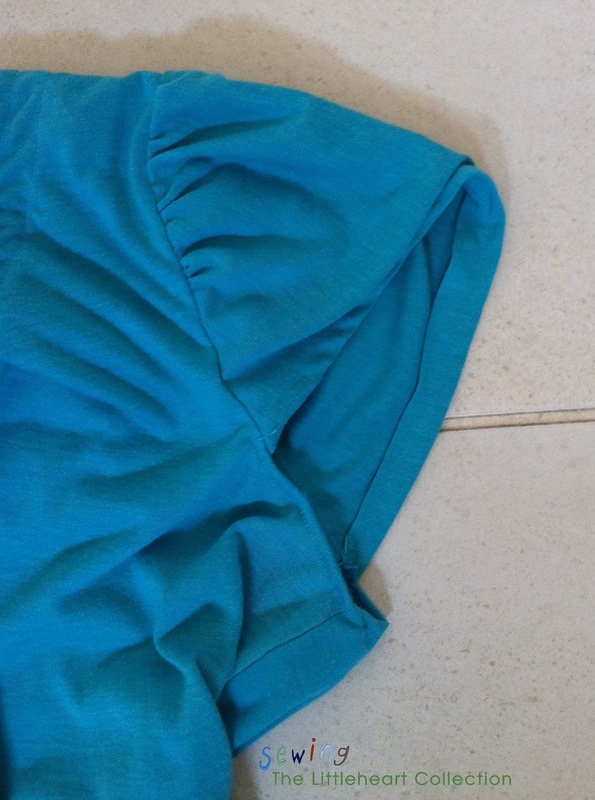 Fold over the part under the sleeve that is left and stitch in place. Check in again soon to get the specific tutorials for each shirt! Nice shirts - I need to do this more! Rather than constantly having to alter new patterns to fit. that is really a neat idea! Looking forward to the tutorials! 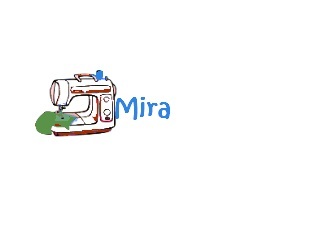 Very cute Mira! Great mini-tute. Thank you for this! I have been on a shirt making frenzy lately. This will come in handy! Love the navy one, can't wait to see how you did it! Visiting from Friday Favs at Nap Time Crafters. Wow I love those! They look awesome on you (well, the model is very pretty too:). I've always wanted to make a shirt from my favorite tee. The are all darling but the red and white is my favorite. These turned out nice! Thanks for sharing. genial te he recomendado en mi blog tus trabajos son muy buenos. saludos y felices fiestas. thank you thank you thank you :) it's very useful for me!